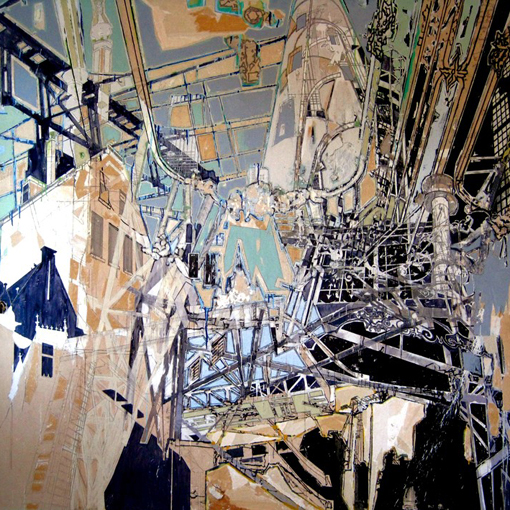 Peter Owen's drawings and paintings explore the urban landscape. He isolates and layers moments to reinterpret personal experience within public spaces. He has shown at Brenda Taylor Gallery in NY, the Soap Factory in Minneapolis, D.E.N. Contemporary and The Creative Artists Agency in Los Angeles and F.U.E.L. Gallery in Philadelphia. His work has been included in New American Paintings magazine. The artist lives and works in New York.